As a kid, I used to spend summers memorizing and playing with new fonts. I would print them on paper in yellow so I could write over it in black ink. 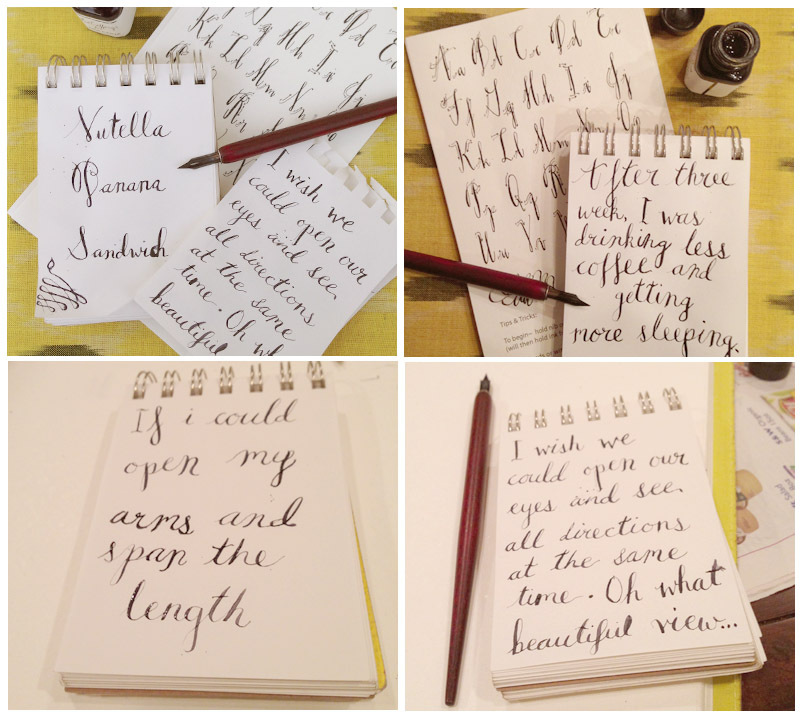 It's no surprise that when I saw this calligraphy kit, I was excited to start memorizing yet another font.